Semantic Web | New PR Words - and Music! The first few posts I read about the new Apple iPhone 4s pre- and immediately-post-launch were pretty tepid and ho-hum post-Steve Jobs dismissals. This is why I rarely pay attention when the tech avant garde makes its first pronouncements about a new product release. Turns out that hiding in the new iPhone is some game-changing technology. Over the next couple of days the word/name Siri started to creep into my conscious as something that might just be interesting about the new version after all. Finally, David Pogue wrote in the New York Times about four new things the iPhone 4s does, the last of which made the hairs on the back of my neck tingle with excitement. He wrote about ‘Thing 4’ that it is: “Speech recognition. Crazy good, transformative, category-redefining speech recognition.” He was referring to Siri — a software functionality from a little company that Apple acquired in 2010. Apparently Siri builds on another voice recognition software, Dragon, that’s been available on iPhones since 2009. Dictate using Dragon and your voice converts to text, subject to the occasional glitch. What got my attention – and what made Pogue go wild about Siri — is that ‘she’ is billed as a virtual assistant that understands fairly complex commands and questions. But what’s fabulous is that ‘she’ answers questions and provides information in a contextual way. “In each case, Siri thinks for a few seconds, displays a beautifully formatted response and speaks in a calm female voice,” Pogue added. 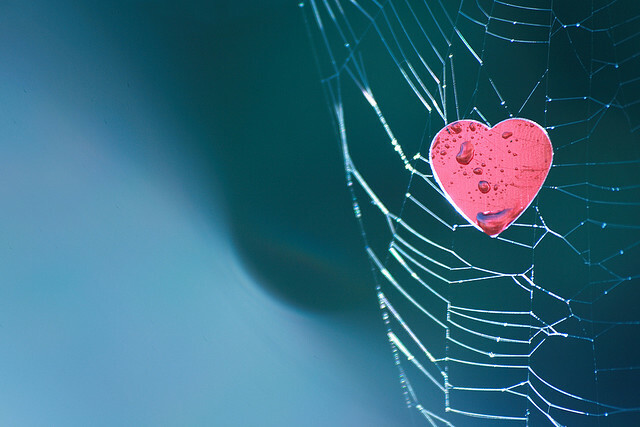 The idea of the Semantic Web – sometimes called Web 3.0 – fascinates me as it will provide the next advances in communications between humans and computers. If you’d like to know more, check out my post from back in the late winter when I blogged about IBM’s new computer Watson ‘who’ blew away top contestants on a much-publicized match on the TV show Jeopardy. Watson and Siri promise to be part of a new DNA line of computer technology. What do you imagine or hope we’ll be able to do in computing or online when their offspring come of age and we can converse with our computers and mobile devices? The image is from Neal under Creative Commons license. What’s the Semantic Web? Watch Jeopardy! Until last night I had the general sense that the Semantic Web had to do with contextual responses to search queries. In other words, currently search engines simply find keywords in text on web sites and blogs that seem to match a query. Applications on the semantic web would determine the meaning of the query, text or other data and then create connections for the user. Still not so clear. Anyhow, last night I watched in amazement as Watson properly interpreted most of the questions, ‘pushed his response button’ and weighed in first with correct answers (actually questions in Jeopardy! terms) in an appealing non-computer-y voice. And I got it! This is what the Semantic Web will mean. 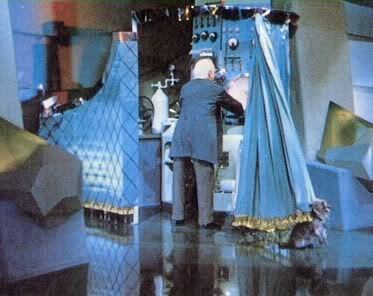 Actually it reminded me a bit of Oz behind the curtain. And an article in today’s Boston Globe described the game show experiment in more specific terms, “IBM scientists launched the Watson project to test whether a computing system could rival a human’s ability to answer questions posed in natural language with speed and accuracy. The “Jeopardy!’’ format was chosen because the game’s clues require analyzing meaning, humor, riddles, and other subtleties that humans can process, but are difficult for computers.” Difficult until now it looks like! I’m looking forward to tonight’s continuation of the man-machine contest and its denouement tomorrow evening. Even though Watson appears to offer an exciting peek into the future, I can’t help but root for Ken and Brad. May the best – er – intelligent agent win!